Our homes are crafted with natural places for your family to gather. With open concept living, dining, and kitchen areas, our homes are ready for your life. You work hard everyday, so your home should be a place to retreat and rejuvenate. 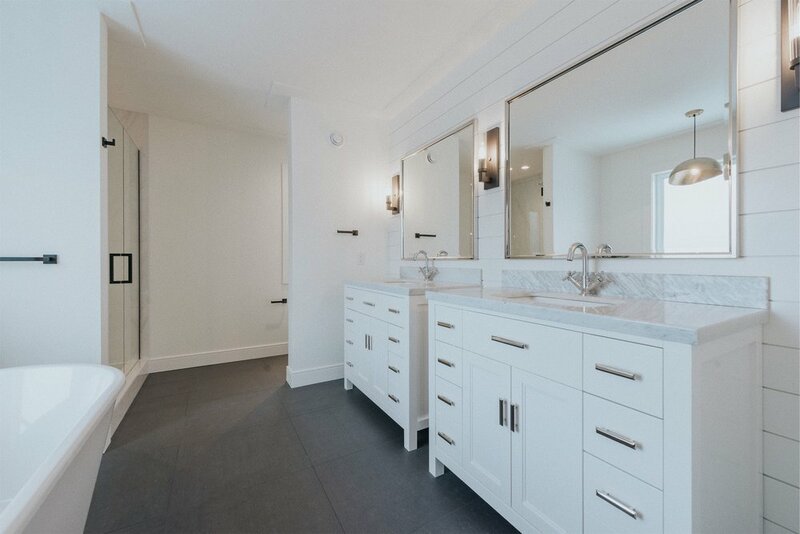 Our thoughtful master bedrooms feature large soaker tubs, rain head showers, and walk-in closets. Kitchens are places to gather family and friends. Whether your entertaining friends or enjoying dinner with loved ones, your kitchen is at the centre. We painstakingly focus on every detail, ensuring a space that is both beatiful and functional for your family. From the counter tops to the baseboards, every detail of your home is carefully curated. Everything you touch and feel has purpose, bringing life into your home. Fort Saskatchewan is brimming with potential for your family. With intricate river valley trails, The Dow Centennial Centre, and excellent K to 12 education, the Fort is the ideal place to call home. Be in Edmonton or Sherwood Park within minutes with easy access via Highway 21 and Highway 15.